Battle Gear - Bakugan Battle Gears can be use to attach to most Gundalian Invaders Bakugans to increase G-power, or they can by played just like any other Bakugan. Although they have the same color of normal Bakugan, their symbols are different. Their symbols mean Gold, Silver & Bronze. These colors also correspond to the Gate Cards of the same colors. 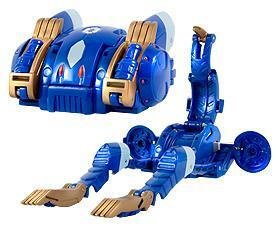 Here are a complete list of Bakugan Battle Gears.